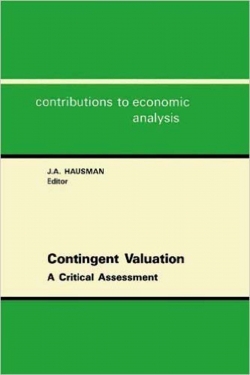 The papers in this volume present a critical assessment of contingent valuation (CV). CV is a survey method that attempts to estimate individual values for economic goods by asking people hypothetical questions about their willingness to pay for such goods. The text reports research which is mainly from economists with specialities in economic theory, econometrics and public finance, rather than from the more narrowly focused research of environmental economics. The research of specialists in psychology, market research and litigation is included. INTRODUCTION TO THE SERIES. Preface. THE AUTHORS. ON CONTINGENT VALUATION MEASUREMENT OF NONUSE VALUES. DOES CONTINGENT VALUATION MEASURE PREFERENCES?. MEASURING NATURAL RESOURCE DAMAGES WITH CONTINGENT VALUATION. ISSUES IN THE CONTINGENT VALUATION OF ENVIRONMENTAL GOODS. EXPLORING A BUDGET CONTEXT FOR CONTINGENT VALUATION ESTIMATES. WHERE DO THE NUMBERS COME FROM?. REVIEW AND ANALYSIS OF STATE-OF-THE-ART CONTINGENT VALUATION STUDIES. ASSESSING USE VALUE LOSSES CAUSED BY NATURAL RESOURCE INJURY. 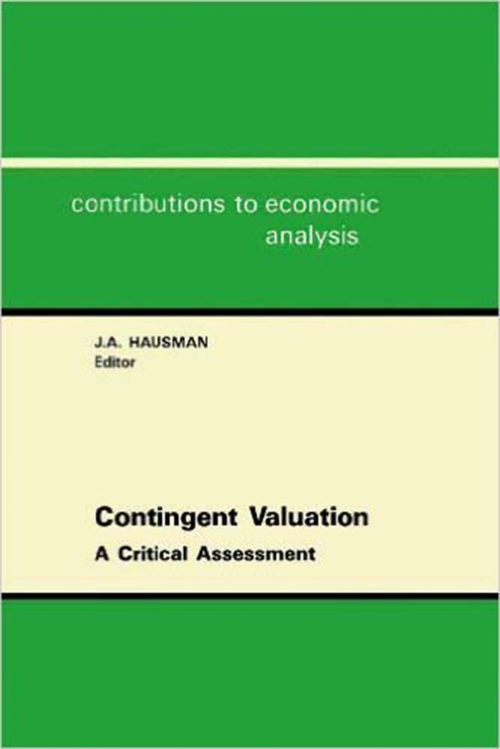 CONTINGENT VALUATION OF THE NONUSE VALUE OF NATURAL RESOURCES. SOME LEGAL AND REGULATORY ASPECTS OF CONTINGENT VALUATION. IS SYMPATHY AN ECONOMIC VALUE?. PANEL DISCUSSION. CONTINGENT VALUATION. CONTINGENT VALUATION OF NONUSE VALUES. Subject Index. Author Index.